Lynette Lewis has been inspiring men and women on issues of vision and purpose for over 20 years. She travels extensively, addressing audiences from 30 to 15,000 on topics including, "The Power of Purpose," "Building Personal Brand and Eminence," and many more. She is one of John C. Maxwells Maximum Impact Speakers. A frequent panelist and often-quoted expert on career development, marketing, and branding, Lynette's eclectic 28-year career has taken her from PR and fundraising at a major university to the senior marketing leader for the National Women's Initiative at Deloitte & Touche in New York City. She worked with some of the Firms largest client teams including GE, Pfizer, Johnson & Johnson, and others. Her popular book, Climbing the Ladder in Stilettos, has been published in several languages receiving recognition from numerous sources including The Wall Street Journal, The New York Post, and The Dallas Morning News. Lynette has appeared frequently on radio and television programs including The Today Show and Martha Stewart Living Radio. A passionate advocate for vulnerable children, she is the founder of StopChildTraffickingNow.org and the visionary behind its annual walks in several countries, 45 cities, and on 80 college campuses nationwide. 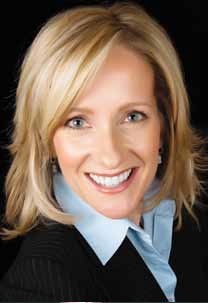 A graduate of Oral Roberts University, she now serves on its Board of Trustees. Lynette is founder and host of the annual PureLife women's conference in New York City, drawing hundreds of women from the U.S. and abroad. She and her husband, Ron Lewis, live in New York City and Cary, North Carolina. They have four grown sons.